MARC LOTTERING hails from Cape Town, and is one of South Africa’s top comedians. He has been in the funny business for 15 years and continues to keep audiences in stitches across the country. In the past year Marc was selected to be part of the hugely successful Bafunny Bafunny comedy tour, which saw South Africa’s top comedians perform at the Royal Albert Hall, London. His just completed a hugely successful run of the pantomime in Johannesburg where he played the role of the Dame, to rave reviews. When his not performing locally, he entertains home-sick South Africans in London and Australia. Lottering has written and produced no fewer than fifteen one-man hit shows for the stage. Delivering critically acclaimed performances in Toronto, New Zealand and Dubai. Marc Lottering’s 3 DVD’s are hugely popular locals and ex pats alike. Marc has extensive experience in television and theatre, and has been the recipient of several prestigious awards along the way. Self-scripted one-man shows continue to play to packed houses. Marc Lottering captures the essence of the Cape Flats in his impersonations and humour. His flavoured comic talent locally was first brought to the fore in 1997 when his original one-man cabaret AFTER THE BEEP was performed to critical acclaim. Soon after, Marc launched his second one-man show entitled ONE SINGULAR SIN-SATION which opened at the Grahamstown Arts festival, thereafter moving on to sell-out seasons in Johannesburg and Cape Town. He continues to keep audiences in stitches, both in South Africa and abroad. Marc Lottering hails from Cape Town and is considered by many to be one of the hottest comics on offer from South Africa. His next show, THE FOURTH WISE MAN opened at Artscape Theatre in Cape Town on 8 December 1999, and went on to enjoy extended seasons at both The Artscape and The Baxter heatre. Warren Nebe directed both ONE SINGULAR SIN-SATION and THE FOURTH WISE MAN. 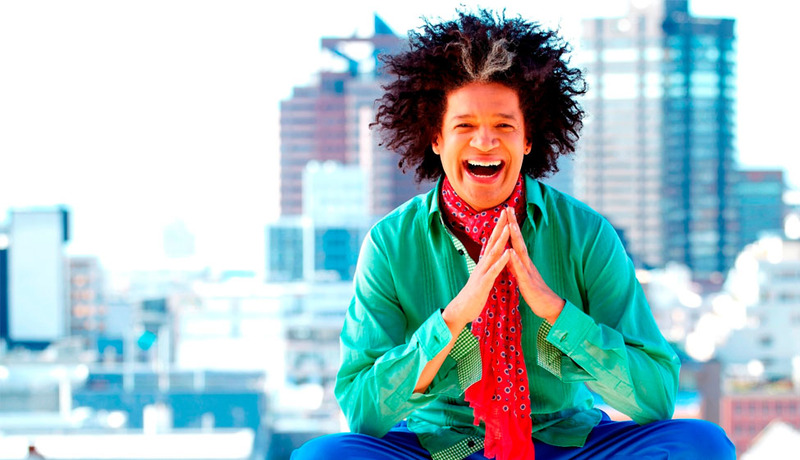 Marc Lottering’s next project, a compilation show of his most popular material up until then, entitled THAT’S MISTER LOTTERING TO YOU, sold out in Cape Town in September 2000. Television appearances include IT’S A FUNNY COUNTRY, EVITA LIVE AND DANGEROUS, co-hosting the prestigious WOMAN OF THE YEAR AWARDS for 2000 and 2001, BIG OKES, WILL THE REAL MARC LOTTERING PLEASE STAND UP, PEOPLE OF THE SOUTH, MARC LOTTERING AND FRIENDS, and THE MARC LOTTERING SHOW. Marc Lottering made his international debut in 2001, when he performed alongside the likes of Pieter Dirk Uys, Hugh Masekela and Sibongile Khumalo as part of the Celebrate South Africa Concert, in London. In 2003, Marc Lottering was invited to act as the official host of the Opening Ceremony for the Cricket World Cup. The show was televised live to 3.5 billion viewers worldwide. Touring nationally and internationally with his show THREE SONGS AND SOME JOKES. Soon after Heinrich Reisenhofer directed Marc in his award winning show - SAY CHEESE. Marc was a founder member of the Cape Comedy Collective and says his main ambition in life is to “rise to the top in the face of serious hair problems". Marc was nominated for another Fleur Du Cap Theatre Award at the end of 2004, for his performance in CRASH, a hit show in which the comedian detailed his sobering experiences after he was arrested on a much publicised drunk driving charge. Since then, this two time Vita Award winning Comedian has had hugely successful shows internationally, even entertaining homesick South Africans in London, New Zealand, Australia and Canada.